Measure 104 will require a super-majority vote to raise fees. SALEM, Ore. — A ballot measure that would expand which proposed legislation requires a supermajority to pass through the Oregon Legislature is arguably the wonkiest measure of this election cycle, but could have significant statewide implications. Measure 104 is backed in large part by the Oregon Association of Realtors and the state's business community, and has received major funding from national groups. Its creation was in direct response to the Legislature's attempt to limit the mortgage interest deduction during the 2017 legislative session. The bill didn't make it out of committee. "It wasn’t like there wasn’t a desire to pass that bill," said Shaun Jillions, a representative for the Oregon Association of Realtors who helped write Measure 104. Find results here as soon as the polls close! Oregon's Constitution already requires all "bills for raising revenue" to pass with a three-fifths majority in both chambers. But what that means is up for debate. A 2015 Oregon Supreme Court ruling and opinions from Legislative Counsel decided that the removal of tax breaks doesn't count as "raising revenue" in the same way as a tax increase or new tax. So, while House Bill 2006 was expected to net more funds for the state, it would have only required a simple majority to pass — something Democrats could do on their own without any bipartisan support. As it is, Democrats are only one member shy of a supermajority in both chambers. Approval of Measure 104 would return the Legislature to how it operated before the 2015 court ruling, Chris Allanach, legislative revenue officer, said in an email. But Measure 104 also expands the three-fifths voting requirement to fees. Jillions said this aspect of the measure is a simple case of closing a loophole before it is exploited. "There was a great concern the Legislature would just call everything a fee instead," he said. Opponents of Measure 104 fear this change could slow progress in the statehouse and increase the prevalence of backroom deals. There are more than 2,400 fees in Oregon, including those associated with hunting and fishing licenses, vehicle and vessel registration, firearms background checks, exotic animal permits and more. For any requested fee increase, three-fifths of lawmakers would need to vote in support. Allanach said he didn't know how often these fees are increased or by how much, but this may be the "more extensive impact, from a legislative work process." Sen. Mark Hass, D-Beaverton, said managing fees is an issue of day-to-day governance, whereas the state Constitution should be reserved for broad parameters. "If we want to govern day to day through the Constitution, I think people will find it pretty unwieldy," Hass said. Jillions said if agencies are communicating with appropriate parties inside and outside the Capitol building, they shouldn't have to worry about unexpected opposition to proposed fee increases. "When agencies do the job reaching out to their stakeholders … you have significant votes in support," he said. Another Measure 104 supporter, Sen. Brian Boquist, R-Dallas, said he can't remember a fee bill passing with less than a three-fifths vote. “The notion that some fee bills barely pass … I don’t recall ever seeing that," he said. Boquist is suing the state over which kinds of bills would require a three-fifths vote to pass each chamber. 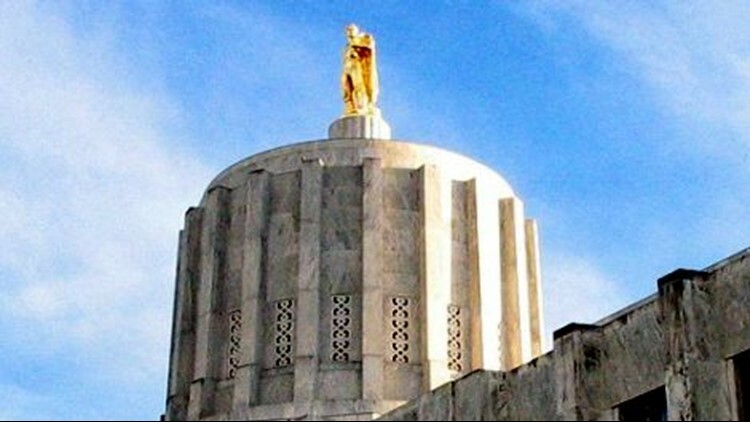 The lawsuit came in response to a bill that disconnected Oregon's tax code from aspects of federal law, resulting in millions in additional revenue for the state compared to if they didn't disconnect. Democrats passed the bill with a simple majority. The "No on 104" campaign argues that while most fees pass easily now, Measure 104 would create a negative incentive for lawmakers, especially those in the minority. Giving that kind of power to the minority could push the Legislature toward greater partisanship and encourage horse trading for previously simple bills, said Katherine Driessen, spokeswoman for Our Oregon, a union-backed progressive political organization leading the opposition to Measure 104. "This would empower a small minority of legislators to grind things to a halt in Salem," she said. A recent survey showed more Oregonians back a "no" vote by the slimmest of margins, and many are still undecided. Commissioned by the Oregonian/OregonLive and KGW, the online survey released Monday showed 37 percent of likely voters against the measure, while 36 percent are in support. A significant 28 percent remained undecided. Riley Research Associates contacted 356 people for the survey and the margin of error was 5.2 percent.